One of the greatest things about eSports is that there is truly something here for everyone. Whether you like sports-related games, the small scale action of arcade-style fighting titles or even something which is truly epic, you will find it all here in the wonderful world of competitive gaming. If you are looking for something on the more ambitious side, here at Master Mazuma we think you cannot go wrong with the brilliant Smite. Hi-Rez Studios’ game about warring gods is a multiplayer online battle arena classic and an absolutely perfect fit for eSports. Unsurprisingly the Smite World Championships are a big date in the professional gaming calendar with a huge number of fans watching it live and many more monitoring the action online. 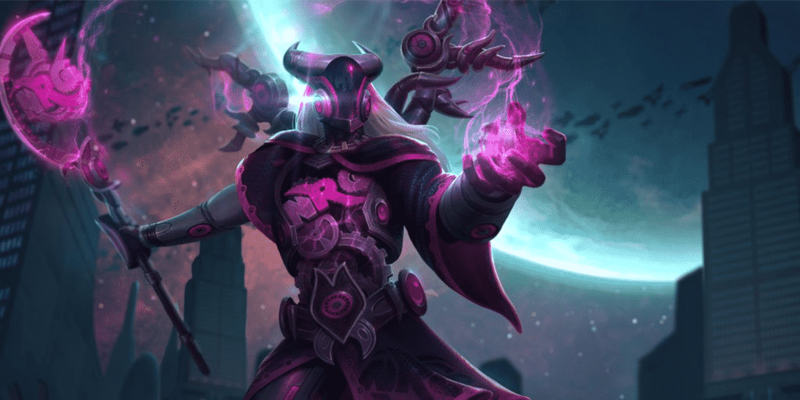 In this guide, we are going to explain some of the basic details related to the tournament as well as provide some tips to help you with your Smite World Championships betting. While the first Smite World Championships was only held in 2015, the event is already widely recognised as one of the most important in eSports. Organised by Hi-Rez Studios, the official competition is held annually in Atlanta, Georgia, with teams travelling from all over the world to take part and pit their wits against the best teams involved in Smite today. The 2017 World Championships were held at the start of the year at the Cobb Energy Performing Arts Centre and boasted a range of high-profile sponsors from streaming service Twitch to Alienware and even Coca-Cola. The best place to start when preparing for Smite World Championship betting is to get a proper understanding of how the tournament works. Using the 2017 event as a prime example, the event featured 10 teams in total. Two sides each qualified from events in North America and Europe, while a single side from each of the regional events held in Brazil, Latin America, China and Oceania also got the chance to take part. The final two places went to two teams who qualified at wildcard events. The tournament began with a placement stage in which eight teams – the top seeds from North America and Europe get a bye at this point – are placed into a double elimination bracket. The top six then advance to the knockout stage where the aforementioned top North American and European sides then join the action. The knockout rounds feature best-of-three quarter-finals, followed by semi-finals and a final operated on a best-of-five basis. And what are competitors doing battle for? Well, the total prize pool in the 2016 and 2017 World Championships was a cool $1 million, with the winning side taking home $600,000 and the rest of the fund being split between the rest of the competitors depending on their final position in the standings. Now you have an idea of how the tournament typically tends to work, you can start to consider the type of strategy that may work for Smite World Championship betting. Whether you are new to the game or have been following the eSport for years, here at Master Mazuma we think there are a few things you should consider when thinking about how to approach betting on this great event. First up, it is wise to take a moment to consider what you know about the top teams involved in Smite. A little bit of research can go a long way, so learn what you can about the best sides which are generally most likely to be involved in the latter stages of a major event. One name to look out for is NRG eSports, which won the 2017 World Championships after beating Obey Alliance in the final. The latter are also a major team to keep tabs on, along with the likes of Team Eager and Luminosity Gaming. Fact fans may also be interested to know that Soar Gaming currently boast being the highest-earning Smite player in their team. Andrew “Andinster” Woodward is believed to have gained more than $317,000 in winnings from Smite competitions, with that figure putting him ahead of Luminosity’s John “BaRRaCCuDDa” Salter. You should see how these players and many more are performing in the lead-up to the Smite World Championships by catching coverage of them in action at other events. This should give you an idea as to which sides are in good form and also whether others may be struggling. It will also allow you to identify any new talent which is emerging and could have a bearing on future events. Everyone loves an underdog story and upsets can happen, so do not always go into a tournament thinking that the top names will always win out. It might be useful for you to keep a few notes on specific teams while watching the coverage, as this may help you compare and contrast their strengths and weaknesses. Does a team have a weak link which could be exploited by a rival? Or will a side have an advantage over their opponent in a key aspect of the game? Think carefully about all of this and you may be able to determine who is going to prove successful. Finally, keep your ear to the ground by monitoring news and gossip. Has a side made a change to their roster in the build-up to the main event or are there rumours of teammates falling out on the eve of the tournament? Check the latest eSports news sites and social media for the latest, never forgetting that matters away from a competition can still have a major bearing on performances during it. Smite is a fantastic game with battles between gods on an epic scale, so it is only right that it has become a core part of the eSports world. The Smite World Championship is a truly incredible event and we are sure you will love all of the thrills and excitement which take place at the competition every year. 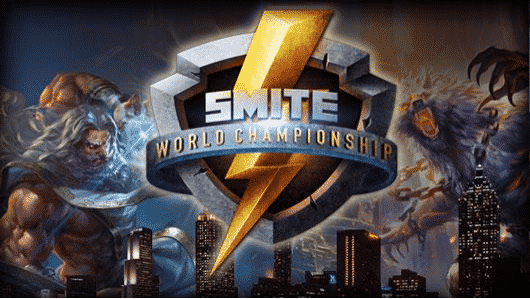 For more information on Smite World Championship betting, visit our specialist pages for the latest odds and further details on the upcoming competition. Don’t forget to register with Master Mazuma if you haven’t done so already, to get our bet 5 get 10 offer and more bonuses.